Hunting Packages - We want you to be successful when you get out in the woods. We realize that not everyone has the time to scout for weeks to get on that trophy buck, or find the perfect spot for taking predators and hogs. Maybe you’ve never handled a weapon but want to have the experience of taking game in the wild. Regardless of your experience level, we can help you have the best time of your life on one of our hunts. Don’t have your own gear? No problem, we have a variety of bows, crossbows, firearms, etc. for rent. Never shot a gun or fired an arrow, no problem. We give you the training you need so that when you get on target you can pull the trigger with confidence. Here are just some of our new hunting experience packages. $2000 for weekdays / $2500 if it includes any part of the weekend, fee covers up to 4 persons. Day 1 - Arrive at the hunting camp and get oriented with the camp and the personnel. Day 2 - Weapons training and target practice, possibly an afternoon hunt if the guides are satisfied you are ready. If you don’t have your own gear, you can opt to rent something from our “hunting arsenal” and we’ll get you sorted out on its operation and make sure you are ready for your hunt. Bow training can be tough. Expect to spend 4 to 6 hours learning the basics and working to get on target. Rifle training is a bit easier but requires time for safety training and target practice to make sure you are as prepared as possible for your hunt. Day 3 - Early morning at the high fence facility. Please refer to our section on our High Fence facility to what’s included. Your daily fees are covered in your package price, you are responsible for the game you kill and any additional fees associated with those kills. Day 4 - Pack up and head out. $1600 for weekdays / $2000 any part of the weekend is included, fee covers up to 4 persons. This package is for those hunters that have their own gear and know how to use it. Day 2 - Early morning at the high fence facility. Please refer to our section on our High Fence facility to what’s included. Your daily fees are covered in your package price, you are responsible for the game you kill and any additional fees associated with those kills. Day 3 - Pack up and head out. Hunting is very popular. Getting good footage of hunts is extremely difficult. We can help take some of that difficulty out of the equation. With our extremely high success rate, let Boggy Creek outfitters and our guides, help get you and your film crews on the game that matters most to you. 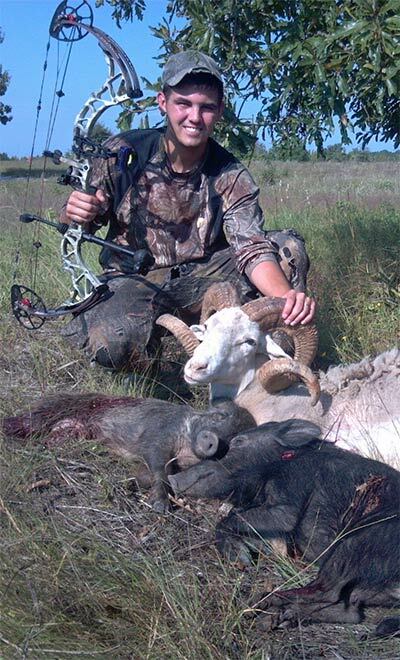 We have a tremendous area open to us for all manner of small and large game, predators, and pests. Do you need to get your kills on film? Get on board with Boggy Creek Outfitters! Call Joe Kennedy Today at (903) 826-5338 to Create a Custom Package for Your Next Hunt! Need anymore information on our Hunting Packages? Just visit our Contact US page and give us a call!